The so-called Internet cafés in the central part of Ohio, which in 2013/14 suffered close scrutiny as part of the statewide crackdown at the time, have been left operating pretty much unnoticed in the last few years. People started talking about them once again in January 2019, after a married couple got fatally shot at the Players Club. Previously, Internet cafés have stirred a lot of controversies, since some people believed that they resulted in increased crime levels across the state. For example, since 2013, the police in Columbus have taken 10 reports regarding such establishments, with most of them involving reports of employee thefts and a robbery. Three of the reports were related to claims that the games offered by the facilities were designed in a way to make players lose. The Senate has passed HB 7 to impose a ban on internet cafes in Ohio that have become a hub for crime. In 2016, five Internet cafés in the central part of Ohio were raided and forcibly closed, following complaints about illegal gambling. Such complaints are still being investigated by competent regulators. Despite the fact that crime at Internet cafés is quite rare for the time being, the parlors are still fuelling controversy. Such establishments offer video slot terminals to local customers, but the stricter regulatory regime has resulted in a reduction of their number. Currently, the state of Ohio bans games of chance from being offered outside of specially-approved establishments, such as casinos. According to Kurt Gearhiser, a Columbus-based attorney who is also known as a supporter of Internet cafés, the games already include elements of skill so that they are in line with state law. Gearhiser reminded that games must offer puzzles which require skill to solve them. The machines’ opponents, however, still believe that the above-mentioned gaming parlors are problematic. 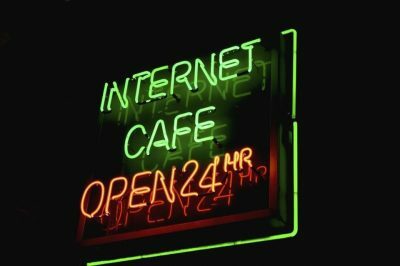 Internet cafés originate from so-called sweepstakes cafés, which were extremely popular in the early 2010s. Customers were offered to play sweepstakes games on computers but in 2013, a state law was enacted to effectively ban them from offering cash prizes. Then, Internet cafés came in their place, but eventually, fell under criticism, too, especially at the time of a statewide crackdown in 2013. On the following year, 2014, a piece of legislation was passed by General Assembly of Ohio to hand the control over the parlors to the Ohio Casino Control Commission. Under the Commission’s lead, a special regulatory framework for the establishments which offered games of skill was forged and officially enacted in 2018. Under the new regulatory provisions, the Internet cafés were required to file applications in the summer of 2018 through the Casino Control Commission to obtain a license. For the time being, no parlors have received official approval but they were given the permission to continue operating. 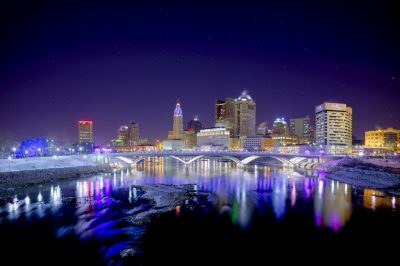 Reportedly, a number of Internet cafés situated in Columbus, including the Players Club and Planet Jackpot, do not appear in the application records of the Commission. As revealed by the regulatory body’s spokeswoman Jessica Franks, the parlors might have applied under the name of their controlling company but shared there is a chance for some cafés to be operating still without an application filed.